Officially, there’s no such thing as a veterinary nurse. The people who act in that capacity are termed veterinary technicians. But it’s confusing. Why aren’t veterinary technicians just called veterinary nurses in the first place? Good question — and it’s one that the National Association of Veterinary Technicians in America (NAVTA) has been asking itself. 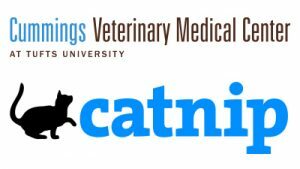 In fact, that organization — which represents vet techs, as they are called colloquially — has begun having conversations with state, national and even international organizations about implementing the term “veterinary nurse” for the veterinary technician profession. If the change in nomenclature comes to pass, a veterinary technician will officially be known as a registered veterinary nurse, and have the letters RVN after her or his name. It will also give cat owners a better sense of who these important healthcare workers in the vet’s office are. There’s a person at the front desk to let the doctor know you’re there, and there’s someone who may take your cat’s blood pressure or measure other vital signs before the veterinarian comes into the exam room. And sometimes the person at the front desk is the person giving your pet the pre-check. What exactly is going on? Actually, it depends in large part on the size of the practice. If it’s a large enough practice, it may have both a veterinary technician and a veterinary assistant. What’s the difference, you ask? It’s in the level of training and the level of responsibility for patients. A veterinary assistant may be formally trained through a high school program or a certificate program offered by a college (which is not the same as graduating from that college — it’s a short course of study) or through a distant learning program over the Internet. But most veterinary assistants are trained on the job by the veterinarian or the veterinary technician. Her role is not medical. 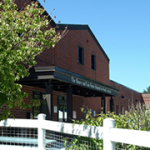 It’s to assist the veterinarian or the veterinary technician in daily tasks as well as completing basic duties, such as setting up equipment and cleaning key areas in the clinic like the surgical suite. Sometimes it also falls to the veterinary assistant to clean kennels and perform similar work. A veterinary technician — truly the nurse of the practice — is trained as such. She must graduate from a two-year program at a community college, college or university that has been accredited by the American Veterinary Medical Association. She must also pass a credentialing exam. Depending on the state, she might either be called a CVT (credentialed veterinary technicians) or LVT (licensed veterinary technician). Either way, she will have been educated to be a veterinarian’s nurse, laboratory technician, radiography technician, anesthetist, surgical nurse and client educator. That is, she is trained to explain to cat owners in more detail what they need to know to take care of their pet at home. Along with veterinary technicians, there are also veterinary technologists. 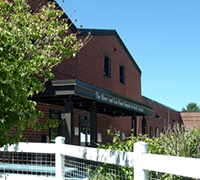 They always have graduated from a four-year bachelor’s program accredited by the American Veterinary Medical Association. Whether veterinary technician or technologist, many in the field are placed in supervisory roles in veterinary practices (as well as research institutions). That is, depending on their level of skill and experience, they may serve more as nurse practitioners than as, say, licensed practical nurses. 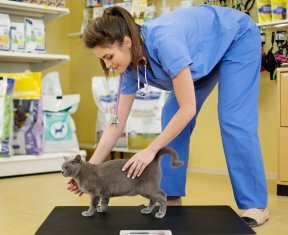 In a veterinary practice, you might see veterinary technicians performing certain tasks below their level of expertise, perhaps fulfilling some of the role that a veterinary assistant might. But you shouldn’t see a veterinary assistant performing the role of a veterinary technician, as the level of education and training will not be adequate to ensure the most positive outcome for your pet. © Nejron | Dreamstime You may notice that different people in a veterinary practice serve different roles, and some of the tasks are completed before you meet the veterinarian. It’s okay to ask the staff at your veterinary practice what they are: vet techs, veterinary assistants or veterinary technologists, and whether they have been credentialed as a specialist in any particular field. You’re not being nosey; you’re educating yourself about who’s taking care of your cat and in what capacity.